There was still some Halloween bits and bobs in the shops – mainly candy and cake! It would seem late August is the best for Halloween stuff in craft shops in the USA – by October, it’s shifting to Thanksgiving and Christmas. We returned home and since the rain had cleared up, went for a dip in the Silver Creek Springs Pool. Of course, we first had to drop all our stuff up to our room, and found that Mousekeeping had left us our first towel critter! 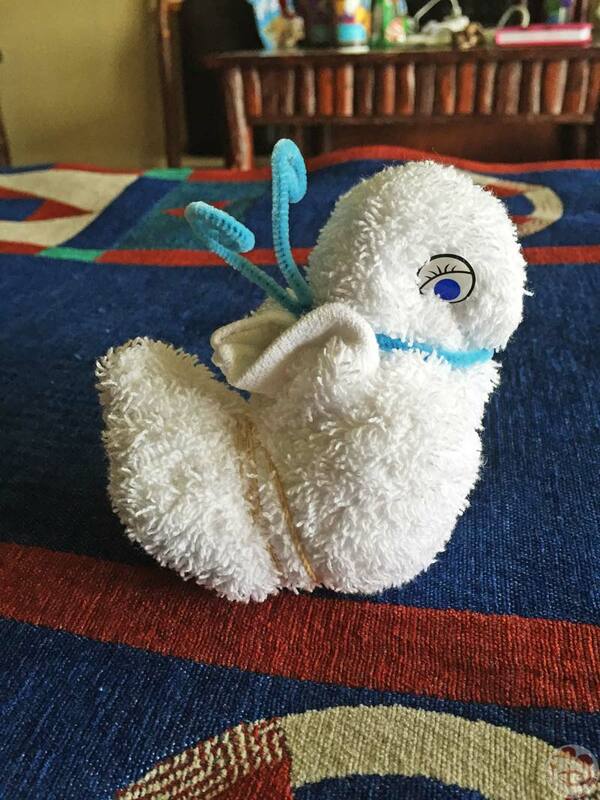 We think it was a bunny, or maybe a bird – what do you think?! These are not always left – depends on the Mousekeeper who services your room. We got them quite a few times, which was very cool, and a sweet touch! Down to the pool – we found that at the closest end of our floor’s corridor was a staircase that if you walked down took you outside and a short walk from the Silver Creeks Spring Pool, which was very handy! We splashed about, went on the slide, and generally had a fun couple hours in the pool. We heard the Fire Rock Geyser going off behind the trees – I just managed to catch the top of the spout of water. It’s sad, but we didn’t once actually get to see it go off from the little walkway nearby – something to do for sure on another trip! After pool time, we went up to our room to shower and get ready to head over to Fort Wilderness Resort & Campgrounds for the dinner show Hoop-Dee-Doo Revue. 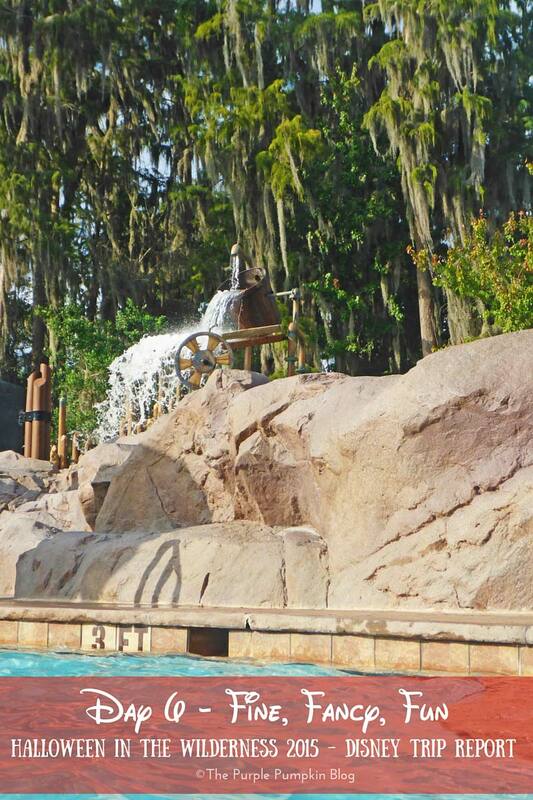 The Silver Creeks Spring Pool looks amazing – my son would love that.